Is a Wrong Ever Right? I guess one of the things that separates me from most is I do not accept or agree with a double standard. If I think something is wrong, it is wrong regardless of the circumstance. Recently, here in Oklahoma there has been news of a botched execution. It comes as a total shock that the very man that was questioning if the drugs offered to prisoners allow them to die humanely clearly suffered on that cold, hard table. I will post a link to the article for those that are interested. For me it is simple. Murder is bad. It is wrong and it robs someone of the life they were meant to live. I absolutely cannot support the death penalty because my feelings about right and wrong are so strong. Two wrongs never ever make a right, period. If it’s not okay for Joe Shmo to murder a human being then we punish him by murdering him? Has anyone considered how ridiculous that sounds? Who do any of us think we are that we have the right to take the life of another? It is not our gift to take away. I’m sorry, it just doesn’t sit right with my heart or soul. Many will disagree, and really that’s okay. It’s just so hypocritical to me at least in my own mind. 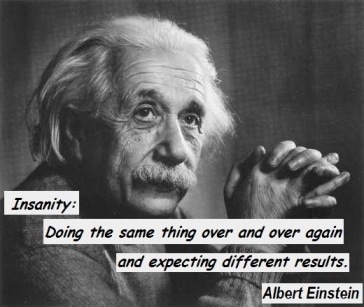 The things we do to improve ourselves is an endless list of ridiculousness followed up by even more ridiculousness. Is that even a word? Anyway, my daughter had a genius idea of how I could go about getting a waist. Even as I write these words I am laughing because how in the heck at 43 do you get something you had never had before when it comes to your body? I’m not giving up pizza or chocolate so please don’t panic. From the time I have been very young I have always been a normal weight but never ever had a waist. So why am I desperately holding onto the dream even now? I have no idea, but it is true what has been said about always wanting what we can’t have. Maybe that is the problem right there. I’ve never believed it was actually possible for little, tiny me to have a waist. All the little, tiny parts of me were put into my height so who was I to hope there was a little extra tiny left for that are between my hips and chest. I was nominated to participate in a writing process blog tour by a fellow blogger who I am grateful to call a friend. Her writing is diverse, but whatever she writes be it a poem, a song or just a random blog post, there is always inspiration and heartfelt meaning in every word. You can find Stacilys here at https://stacilys.wordpress.com/. I highly recommend you check her out. She is an amazing writer with an amazing spirit. I know you will adore her as much as I do. This blog meme requires me to answer four questions about my writing process, and then nominate a few other writers to do the same. The first is a lovely writer whose gentle spirit shines through in her writing. Her innocence and her kindness and her general concern for others is hard to miss. If you are looking for someone to really care about your writing and engage with you on a friendly personal level, Justine is your girl. I hope you enjoy her writing and her friendship as much as I do. You can find here, http://eclecticoddsnsods.com/. Drop in and let her know I sent you. She will welcome you with her warmth and hospitality. Now for the four questions. I would like to tell you that I am writing the best next novel, but the truth is I am not writing a novel at all. I started blogging because I feel people are extremely distracted these days. I often feel isolated and alone with my thoughts and this was my last ditch effort to speak to someone who would maybe listen. And you know what? I have found people who not only want to listen but have inspired me to never ever stop using my voice. I am not working on anything in particular. I have written some very short stories about ADD that someday I would love to have published into a children’s book. I love sharing what I know and someday I hope to open others eyes to not only recognizing someone who suffers from ADD, but also what the world is like for these amazing individuals. Otherwise, I write what I feel. I write what inspires me, what frustrates me and everything imaginable in between. My writing is a journey that I invite others to travel along with me. Well, for one thing, I don’t have a genre. I am not a serious writer zoning in on any particular talent. I simply write from the Heart Genre! I write what I do to do exactly as the name of my blog suggests. I like to make people think and maybe even make them see life and circumstances from a new and different perspective. I write down my experiences and I write about them so that I can always look back to the lessons. I feel we are constantly changing and evolving and this is just my creative way of keeping track of all the growth. words onto a page. The process is natural and defines itself. I hope you enjoyed getting to know me a little better. Please check out my nominees and the wonderful blogger who nominated me as well. Life is about paying attention to others and making them feel valuable and important. One of the most important ways we offer this as bloggers is by liking a post or leaving a simple comment. It is the little things that mean the most. I can’t help but reflect on all these horrible storms. The devastation and enormous impact leave a mark on the towns and people in it for their entire lives. I am still sad when I hear about the stories from Moore, Oklahoma. It seems almost a short while ago that the hearts of the people that live here were left with their hearts exposed and bleeding out for the world to see. These storms are becoming more common and the impact scars more than just the physical structures that are ripped apart and destroyed. I can’t help but think of the storm inside us all. Be careful what you carry. Remember, each angry thought, negative feeling, tumultuous word builds up. At first it makes up a small part of you until finally it overcomes and consumes who you once were. How dangerous to carry that around with you both devastating to yourself and others. Remember what that storm looks like when it grows out of control. There is no containing it once the momentum builds. Find a way to let go of all that forms that large black cloud and try with all your might to see the sunshine above the clouds. It is always there waiting for you to find it. Gratitude is a direct route. Find things to be grateful for every day and let love back in your heart. You get to decide, do you want to feel the sun on your face or be stuck in a chilly endless rain? I am baffled why so many of us are fixated on the past. Can we change it really? If we focus on it, are the feelings and pain that live there going to magically be released and healed? I believe what we focus on becomes our reality. We could have the most innocent intentions but revisiting and living in the past is like a gigantic wasteful trap. Why do we have to remember? Why do we have to dig it up? Why do we have to rehash and keep something that should never have happened alive? I just don’t get it. I’m not even sure I agree teaching history anymore. Every day is a new start, a day to wake up with the gift of life placed delicately in our clumsy little hands. Can we change the future by visiting the past? Will it prevent us from making the same mistakes or will it just be a reason to walk around life with a chip on our shoulder allowing us to believe we are victims? We are all victims but we are also warriors. Can we not stand on our strong legs and look to the future with a new powerful weapon of change? Maybe it is letting go and becoming part of the movement of rebuilding a better world that should be a place we visit often. What can we do today to make the world a better place? What can we do in this moment that will assure our kids will live in a healthier more loving world? 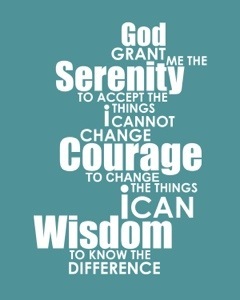 The serenity prayer has always been one of my favorites. I try and live by those words of enlightenment and strength. I believe the words are worth repeating each and everyday. I don’t really like to gamble. To me, it is taking hard earned money and tossing it away. However, once in awhile I do accompany my husband to the casino. Our favorite is roulette. We look at the whole underlying concept of betting entirely different ways. Let me explain. If my husband notices red coming up over and over again, he will bet black and he loses almost every time. I however am a girl that believes in flow. If something is flowing naturally in one direction, why on earth would I stand there blocking the current while forcing it to flow the other way? It sounds crazy and exhausting and well, impossible. So I bet with the flow. Last night I stayed up to watch our local Thunder team play some basketball. I held out hope for a win until the very last second but deep down I knew it wasn’t going to be in the cards. The coaches made a wager to go against the natural flow of the game. When I saw Durant hold that ball in his hands in a last minute attempt to win the game, I knew before he even attempted the three pointer it was not going in. It just wasn’t his best game last night. I would have given that ball to Westbrook and watch him plow through Memphis defense to score two points in a simple lay up. Should I take over as new head coach of the Thunder? Probably not. But I think there is an important lesson behind going with the flow. What do you think? Hand Me That. Hang On. Squirrel! Did You Say Something? Wait! Someone’s Beeping In. Let Me Check My Message. I am hurt and insulted and feel like I have little or no importance in the lives of the people who are supposed to love me the most. No wonder depression is rampant and the line of every other commercial is about feelings of worthlessness. People’s lack of attention is really becoming problematic. I am not even writing this to vent. I am writing this to urge anyone who reads my blog to stop being so inconsiderate to the people that actually care enough to want to have a little one on one face time. Put the computer down and turn the tv off and stop checking your phone every single time it beeps. Give someone your whole attention and see how they respond. It is disheartening to think that someone cannot even give you a few minutes of their time when you so desperately need to talk. So, I hope you listen and give the people who love you more time and attention then you do your cell phone, laptop of squirrel in the distance. Anyone else having the same experience? And remember, they call it call waiting for a reason. It can wait until you finish the phone call you are already on. Now look someone in the eyes and listen to them. If they don’t appreciate it, I sure will!